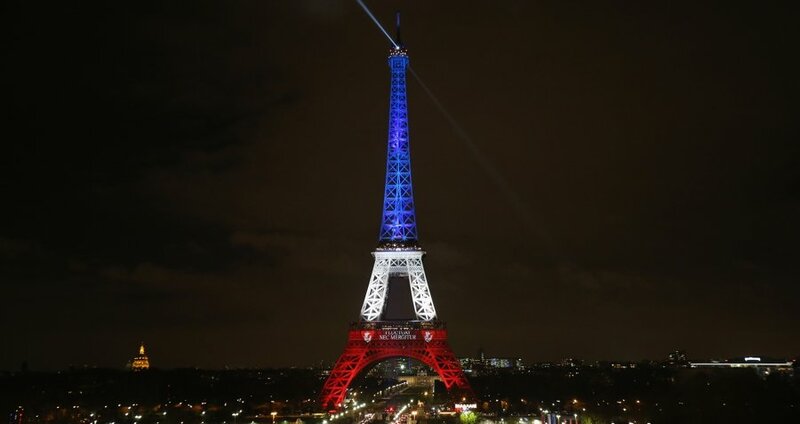 Christopher Furlong/Getty ImagesThe Eiffel Tower is illuminated in red, white, and blue in honor of the victims of the terrorist attacks in Paris in November 2015. Across the world, 29,376 people died from terror attacks in 2015. While that number, courtesy of the 2016 Global Terrorism Index (an annual report conducted by think tank Institute for Economics and Peace), is indeed tragic, it also represents a ten percent drop from the previous year. But while there was a reduction in global deaths, there was a 650 percent increase in fatal terror attacks in the world’s biggest economies — “the developed world” — during that same time period. Indeed, 21 of the 34 countries in the Organization for Economic Cooperation and Development (OECD) — which includes the US, UK, Germany, and France, and is often seen as the mark of “developed” countries — experienced at least one attack in 2015. To help shape that response, the report identifies four major factors fueling increased terrorism in OECD countries: youth unemployment, levels of criminality, access to weapons, and distrust of the electoral process. However, the terrorism outlook for countries outside of “the developed world,” is rather different. Last year, 72 percent of all deaths from terrorism in 2015 came from five countries not included in the OECD: Iraq, Nigeria, Afghanistan, Syria, and Pakistan. Syria alone saw a 50 percent rise in terrorism from the previous year. While efforts to militarily contain ISIS and Boko Haram (the two groups were responsible for 51 percent of terrorism related deaths in 2014) have resulted in fewer deaths in Iraq and Nigeria, the groups have spread throughout the nearby regions. ISIS, for one, has become active in more than double the amount of countries than it was in 2014, expanding from 13 to 28 countries last year. And how to respond to that kind of terror is precisely the question of the day for the Institute for Economics and Peace. And in determining our worldwide approach to combatting terrorism, perhaps the first step is putting the true threat of terrorism in context. As the report suggests, despite growing fears, terror deaths fell last year. Consider also that, in 2014, 88,000 people died in the United States from alcohol, for example. In 2012, the National Institute on Alcohol Abuse and Alcoholism attributed 5.9 percent of all global deaths — 3.3 million — to alcohol consumption. Yet, with far fewer deaths, its global terror that dominates our news cycles and sometimes thrusts the far right into power on the back of Islamophobia. Next, learn why a Trump victory is exactly what ISIS needed, before looking at this surprising Gallup poll on how Americans feel about terrorism and gun control.